My professional interests revolve around benthic ecology with particular emphasis on shallow water hard bottom communities, ecosystem engineers and factors controlling biodiversity. 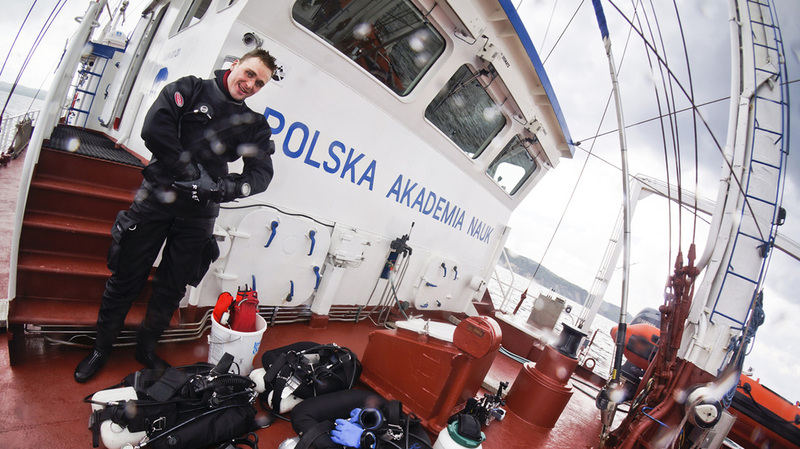 So far, most of my work concerned the rapidly changing polar regions (both the Arctic and the Antarctic), but I do not forget about our local field which is the Baltic Sea - its green waters and specific rocky "reefs." I am very interested in shipwrecks treated as hard substrate islands, the hot-spots for biodiversity, and their role in the ecosystem function. Fascinated from the beginning by scuba diving, I am trying to develop my underwater photography workshop using it as one of my main research tools - most recently the time-lapse, and photogrammetry techniques. © 2016-2019 Piotr Bałazy. All rights reserved.